A new, very red recipe just in time for Valentine’s Day! Last week, I got an email asking if I was interested in sharing a ‘healthy heart’ recipe using Waitrose ingredients. I said YES, of course! I’m all about healthy food, especially trying out new recipe ideas – today’s was inspired by a suggestion from one of my Twitter followers! Waitrose have actually created a Valentine’s-specific healthy heart recipes page on the Waitrose website to inspire recipes ideas and healthy ingredients to use: CLICK HERE. This recipe was originally with plantain and turkey mince but someone forgot it in the oven *ahem*. Anyway…. Why is this recipe good for the heart, apart from the fact that it’s here on my blog? Prawns are rich in omega 3 fatty acids, which help promote heart health. Every single ingredient in this recipe is highly nutritious and the end product is so tasty, I’ve already made it twice! Peel and dice the sweet potatoes, also chop up the onions. Season the prawns with ginger, herbs and pink salt (as desired). Heat the coconut oil in a wok, and add brown the onions. Add the sweet potatoes and pan fry for 5 minutes on medium heat. At this point, the sweet potatoes will start to soften. Add the cherry tomatoes. Now add the prawns and stir fry until prawns start to pinken. Cut the bell peppers into equal halves (or chop off the top inch of each bell pepper to create a ‘bowl’) and preheat the oven to 170C/350F. Cover oven pan with baking paper and lay out the peppers. Add equal amounts of the filling (prawns, sweet potatoes and cherry tomatoes) to the peppers. Bake in the oven for 25-30 minutes. Best way to check if it’s all cooked is the pepper will start to shrivel, which means they’re getting extra sweet! This entry was posted in Healthy Eating, Healthy Living, Recipes, Uncategorized and tagged healthy recipe on February 13, 2014 by Adura Odesanya. Last week, while working on a client’s 28 day plan, I got to the section on sugar cravings, the causes and how to curb them and it inspired last week’s email to my Mailing List. Not eating enough – this leads to dips in blood sugar, which leads to wanting a quick fix for a sugar rush –> cravings! Solution: Eat more often – breakfast, lunch and dinner are a must. Eating too much sugar – this is a vicious cycle, the more sugar you eat, the more you crave it. Eating simple or processed sugars causes a quick spike in blood sugar, and an even quicker dip in sugar and energy levels —> more cravings! Solution: Cut out/down processed sugars and eat less high sugar fruit. PMT/Menopause – Hormones! Isn’t it great being a woman? We become more prone to insulin resistance closer to the time of the month, or menopause as oestrogen and progesterone levels change. For a lot of women (like me! ), this can lead to sugar cravings, feeling tired and emotional. Solution: Take Vitamin B6 supplements. Also make a big effort to cut down on sugar. I’ll talk about how I’m usually able to do this below. There could be other health related causes including thyroid problems, yeast infections and more. Which is why you shouldn’t ignore other symptoms you might have, especially those that never seem to go away. Solution: Consult a medical professional in this case. 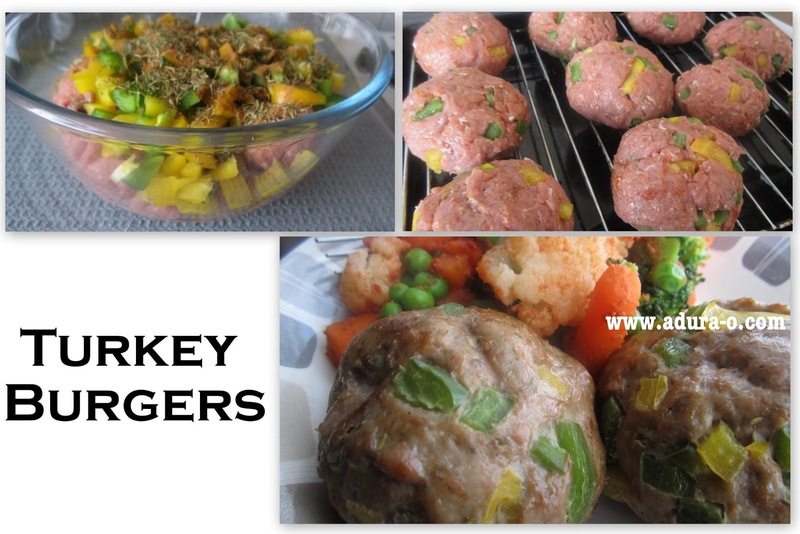 – Roast your plantains, sweet potatoes, squash or yam. Roasting brings out the sweetness and natural flavours. TMI (for some) but this always helps when I crave sweet treats right before and during my time of the month. Do you have any tricks for curbing sugar cravings? Share! This entry was posted in Clean Eating, Healthy Eating, Healthy Eating Tips, Healthy Living on November 11, 2013 by Adura Odesanya. I can’t get over how quickly it is to make this meal, I just posted this on Instagram (@Adura_O), and had to share the recipe here with you. So before you you say healthy eating is time consuming and expensive, just read on! I went for a 1.5 hour walk on Sunday, yes ME, the-one-who-hates-walking went for a long walk. Huge thanks to my friends at Fitter London for organising a bank holiday walk on Saturday, it was so much fun and inspired me to download ‘Striiv’, a pedometer type app. There’s a a competitive edge to it thanks to the ‘Leaderboard’ feature, love it! 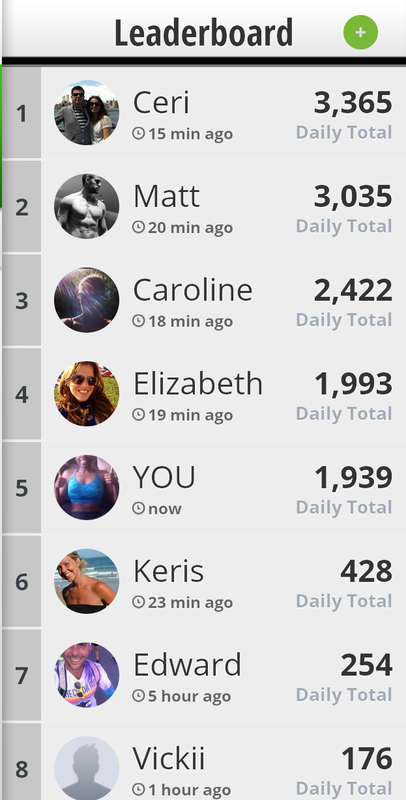 Some of my friends walk over 20,000 daily, not me …YET! I have a lot of walking left to do today. Oops I’m getting carried away as always! Back to the reason for this post! While on my Sunday walk, I found a farmers market in Alexandra Palace, woohoo! I had some money on me (in case of emergency) and bought some fresh, locally grown produce including cauliflower and bell peppers, which inspired this very simple meal. Wash and grate the cauliflower (for more info on this, read: http://www.adura-o.com/2013/04/nigerian-twist-on-cauliflower-rice-from.html). Wash and chop up the red pepper and onion. Heat the coconut oil in a pan, and brown the onions. Season the prawns with the curry, parsley, cinnamon and salt. Add the prawns and pan fry for a few minutes until they start to turn pink. Add the peppers and stir fry until prawns are completely pink. Remove from pan and set aside. Add the grated cauliflower, add a pinch of salt and stir for 3-5 minutes. Add the prawns and peppers, stir for a short time, turn heat down to low and leave to simmer for 5 minutes. 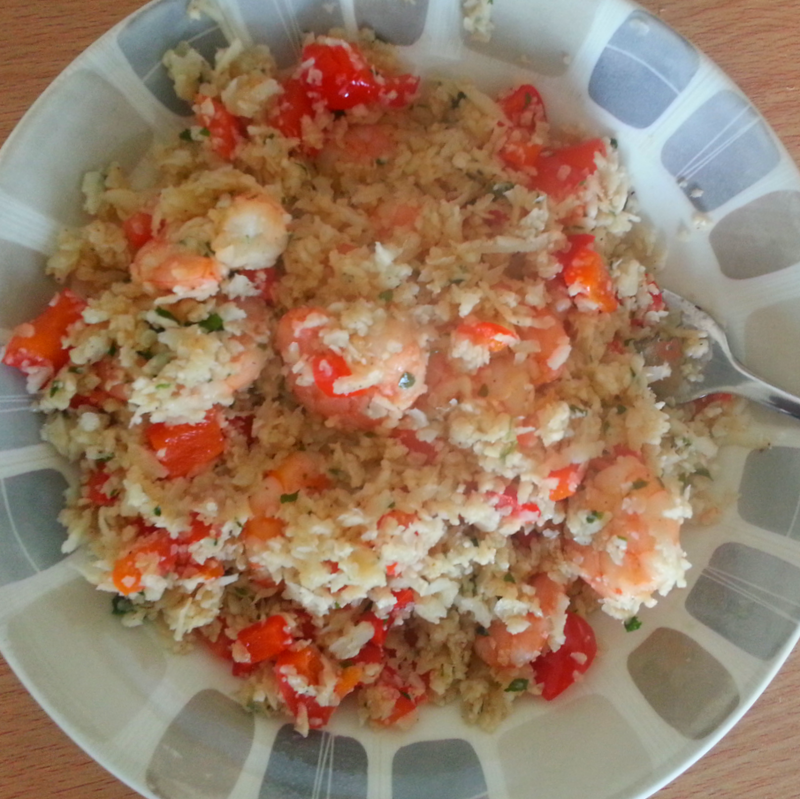 This entry was posted in Healthy Eating, Healthy Nigerian Recipes, Paleo, Recipes on August 28, 2013 by Adura Odesanya. 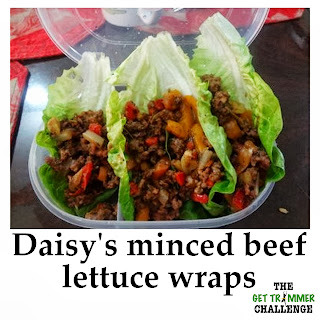 Lettuce Wraps (Minced Turkey,Tomatoes and Peppers): Inspired By Daisy! Not up to 10 minutes after posting it, I got one recipe request and a few questions on what was in it. So I thought, “Yay! A recipe blog post, my blog needs one!”. Lettuce wraps are a great way of totally eliminating bread (wraps) from a meal. This is a low carb and high protein meal and can be breakfast, lunch or dinner. Ha! It’s not the usual quality of my videos but it does the job, right? Wash and chop up onions and peppers. Heat coconut oil in a pan (preferably a wok). Fry onions until they’re lightly browned. Add turkey mince, cook until the meat isn’t pink. keep turning in the pan to cook evenly. Season with (1/2 tsp) salt. This should take no more than 5 minutes. Add the chopped tomatoes and season with mixed herbs and spices, and two pinches of salt. Immediately add the peppers. Stir contents for 30 seconds, cover and leave to simmer for a minimum of ten minutes. 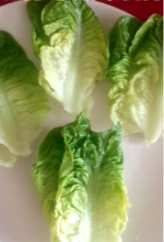 Wash the romaine lettuce and remove the leaves (for the wraps). A tip here is too use the bigger (outer) leaves. I made 4 wraps, so I used 8 leaves. Shout out to Daisy for the inspiration! I usually make my lettuce wraps with eggs, sliced meat (chicken, beef) or fish. 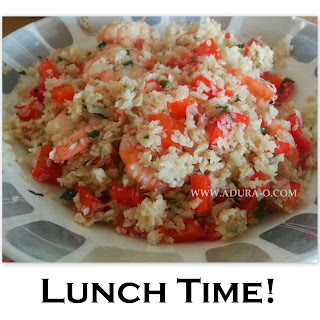 This entry was posted in Healthy Eating, How To Cook Healthy Food, Paleo, Recipes on August 12, 2013 by Adura Odesanya. ENTER – *planning your meals* <-- This is a key step in sticking to your healthy goals. The days I've had no food in my fridge have been the hardest for me to eat clean and healthy. And my best days have been those where I've planned in advance so I don't find my self starving and nowhere near healthy enough options. e.g. I made some on Monday night, I had one serving on Tuesday morning, another on Wednesday morning and a half serving on Wednesday afternoon. Wednesday’s was green smoothie and baked mackerel. As seen in this video below, it takes very little time to make eggs, if you’re REALLY pressed for time, you could go one better and boil 2 eggs the night before, cutting your preparation time right down. Have you tried this combination for breakfast? Or green smoothies with something else? What did/do you think? 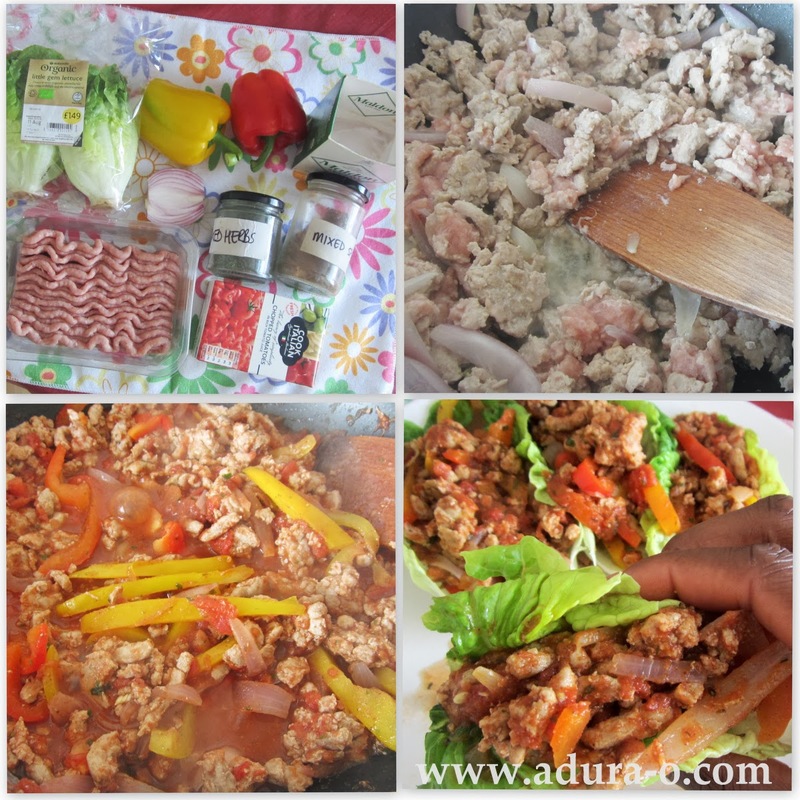 This entry was posted in Green Smoothies, Healthy Eating, Healthy Eating Tips, Recipes, Video on July 10, 2013 by Adura Odesanya. As One Challenge Ends, Another One Is Set To Begin. If you follow me on Instagram (@adura_o), your timeline should have been bombarded with daily posts from me in plank position. 1. 2 minutes of plank, daily. 2. 2 strength sessions, weekly. 3. Yoga 1-2 times, weekly. 4. Eating clean – Processed sugar free and low sugar. 5. Cutting down carbs, except on workout days. Examples of carbs allowed: plantain, sweet potatoes and quinoa. 6. I teach 3 spin classes a week, that covered my cardio and HIIT. I LOVED IT! Cutting out treats was a challenge for the first week, but after that – it was just fine. When I had cravings (e.g. time of the month), I just had bigger portions of carbs and that always helped. One day, I had roasted sweet potatoes and plantains! 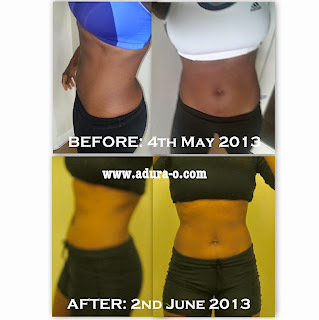 RESULTS: Although, the change isn’t drastic, I see I’ve definitely lost some fat and even better, I feel GREAT! The moral of the story is: Nothing Is Impossible. Stop making excuses, “Ahhh, I can’t NOT eat bread or biscuits, etc”. You can if you put your mind to it. I always tell people – If I can do it, anybody can. It’s good to challenge yourself often, to keep you motivated and always on your toes. I’ve found myself relaxing back into bad habits, and this challenge has helped me get back on track. I have another personal challenge, which will start in a couple of days but enough about me!! Speaking of challenges ending and beginning, Get Trimmer 4 JUST ended on Sunday 2nd June. The next one, GT5, starts on Monday 17th June and a few spots are already gone! Sign up now to get the early bird offer. 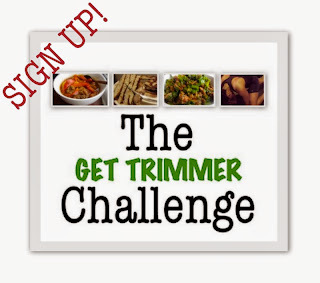 I’ve had a few questions about alternative payment methods, send me an email and I’ll send you details —> email @ GetTrimmerChallenge.com. 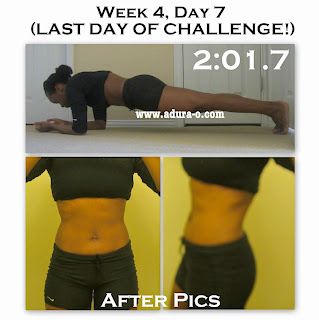 This entry was posted in Exercise, Get Trimmer Challenge, Healthy Eating, Healthy Living on June 4, 2013 by Adura Odesanya. Next time you buy prepared burgers from the supermarket, take a look at the ingredients. Expect to see some unnecessary, and unhealthy, ingredients e.g. breadcrumbs, oil, preservatives and more. My point is – it takes very little time to prepare your own burgers, with much less ingredients… ingredients that you are in control of. I made some today with turkey, green and yellow peppers, anchovies (weird I know, but I wanted to try something different!) and seasoning. I should have added an onion but I forgot, I’ll include it in the recipe below. There are two other recipes, which are my favourites – I’ll make sure I blog about them in the near future. One of them has plantain in it, yep!! 1. Rinse and chop up the peppers and onions. 2. Add the mince and anchovies to a bowl, add the vegetables and seasoning. Note: Anchovies are very salty so be very careful when adding salt. I added just a teaspoon. 3. Preheat the oven to 220C. 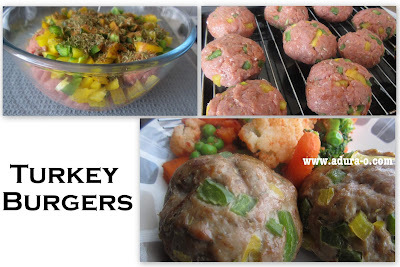 Mix all the ingredients and make small burger patties. 4. Put the burgers in the pre-heated oven. 5. After 20 minutes, flip the burgers to evenly cook both sides. 6. After 15 minutes, they’re ready! Take them out of the oven and allow to cool down for 5 minutes. 7. Serve 🙂 I served my with steamed vegetables lightly stirred in tomato puree and suya pepper. This entry was posted in Healthy Eating, Recipes on May 13, 2013 by Adura Odesanya.